Who else would you travel with ? Jose Lorenzo. The mechanic of the Lorenzo is Javier Ullate ……….. He comes and helps me many times and he works with Montesa and is the minder of Gabino Renales at the trial. So at this time these people come with me. Many different riders come with me and the minders together in the truck. 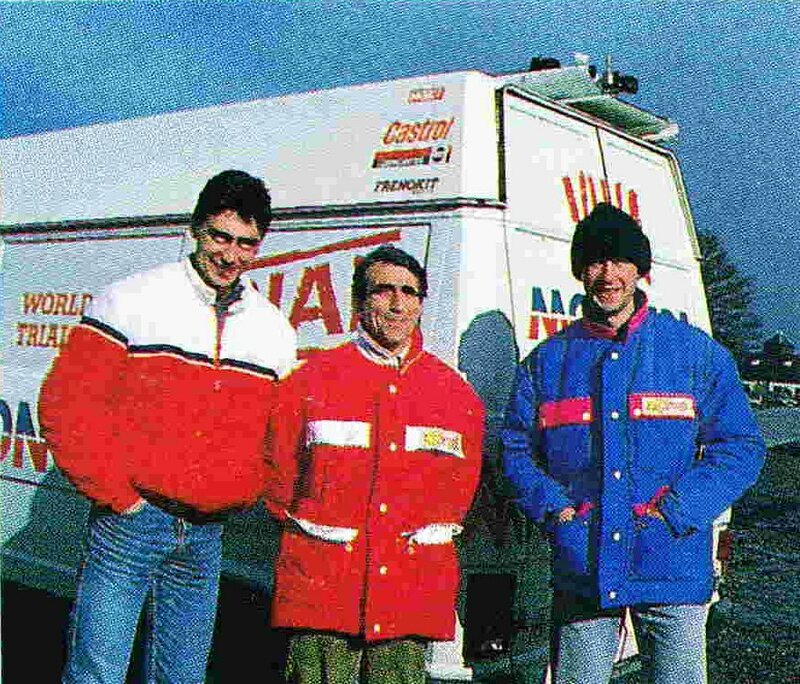 1990 and Gabino and Team Montesa head to Merthyr Tydfil for the Uk World Motorcycle trial sponsored by Sammy Miller motorcycles. Photos Peter Rhodes. 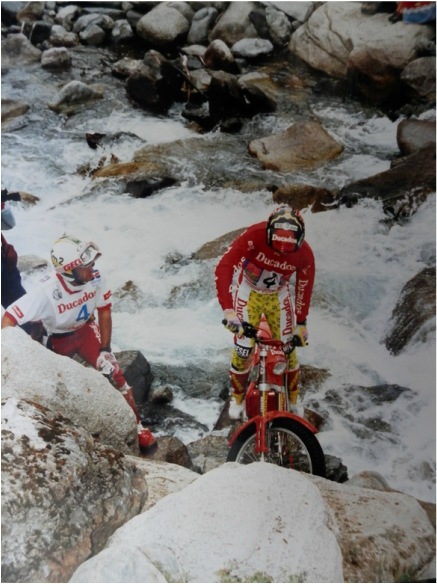 Who was the rider who was the toughest on the bikes and breaks the most bikes ? Amos…he does this many times. Girard ..he break the bike because he crash. After another driver …Felix Craustover. He do this a little and he was a fun guy also. Did you work with Ulf Karllson ? Yes yes for many years. Were you the only truck driver ? I was the main one. The others stay in the factory. I remember Amos also have a truck . It was large motor home. Amos had a minder called Rafael del valle. Amos buy this new big van ….motor home with his own peceta. Amos say to Rafaell…you take my van and you take it to England. Go behind Paco and go together and take this to England. Amos fly later. In France …Toulouse we are traveling up the road and we look behind for Daniel and he is gone. “Where is he ?” we think. We turn around and we go look for the van and Daniel and Daniel has crashed the van into a ditch and killed the van. What are you memories of working with Rob Crawford ? I remember his mother and his father. 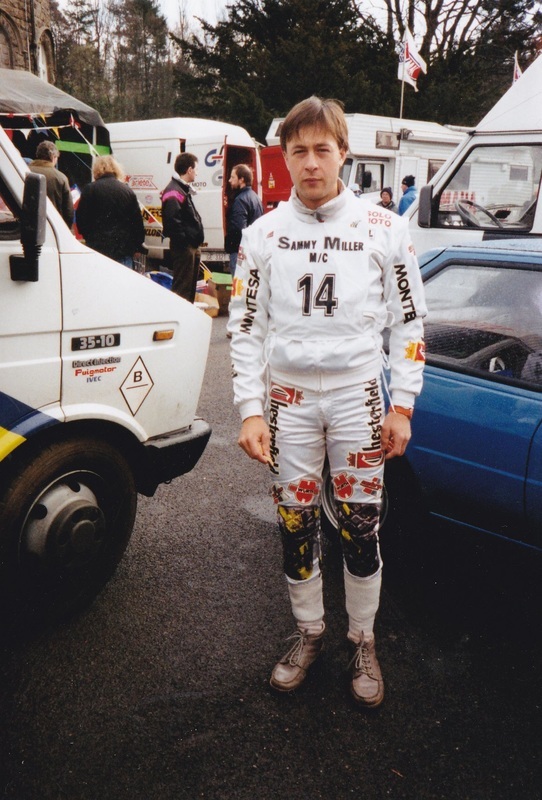 I work 2 years I think with Crawford and we go to the World trial together with the green Montesa I remember. He also break some things and crash some times ha ha . he is a little crazy I think. He has friends that are a little crazy . One was called David Rogers I think from Ireland. Much crazy I remember. You have seen much development of the trials motorcycle. Which was the most impossible bike to work with ? 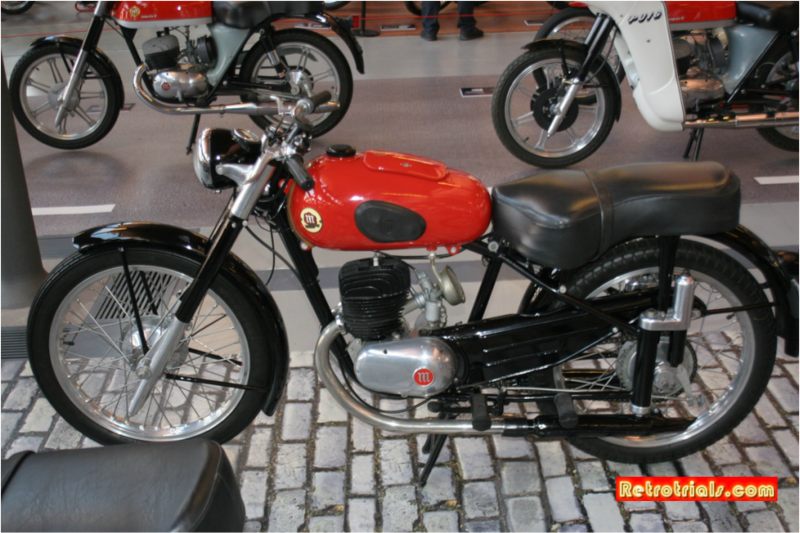 Yes ,much but you must remember that all Montesa engines are based upon the Impala or the brio motor. You understand ? 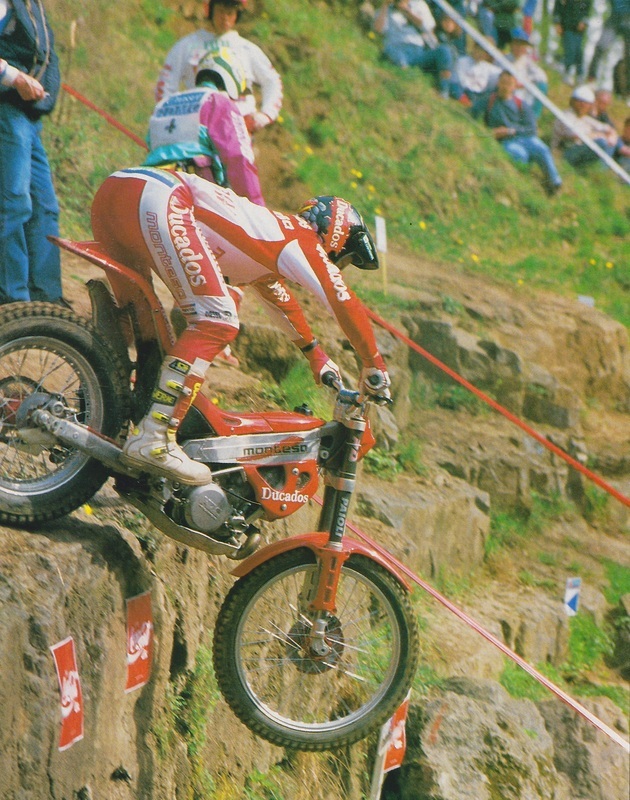 The Montesa Impalla. Created from 1961 until 1969. 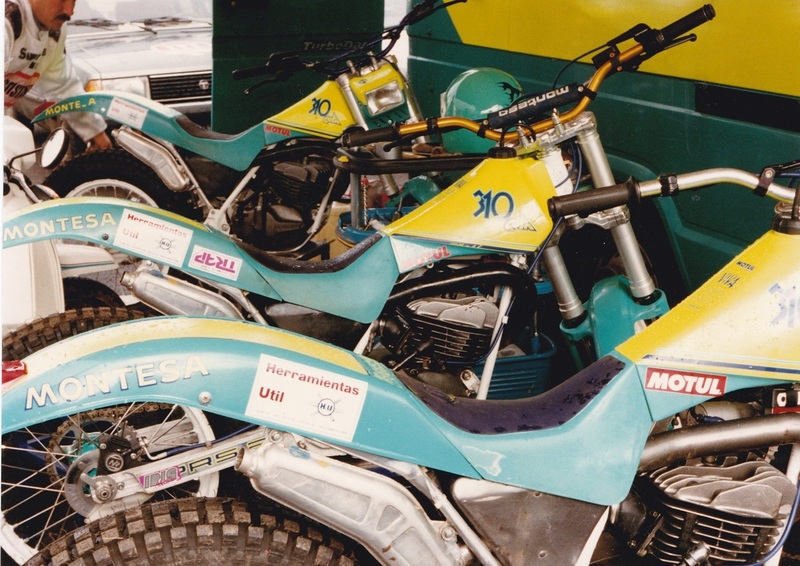 The 175, the 125 or the 75cc cota engine. These were the engines that were difficult to work with and the ones we have problems with . Normally all engines are based upon the engine of the Impala . All the developments come from this engine. The Impala engine was created in 1962 until the Montesa last one.The last models were built from 125 for example the Montesa 390. The engine was from the small engines. The modern bikes from the 70’s, 80’s and 90’s, were they more difficult to prepare ? Normally they were the same to work on and the same to prepare. The crankshaft and the clutch were all very similar. This is not where the development has taken place. 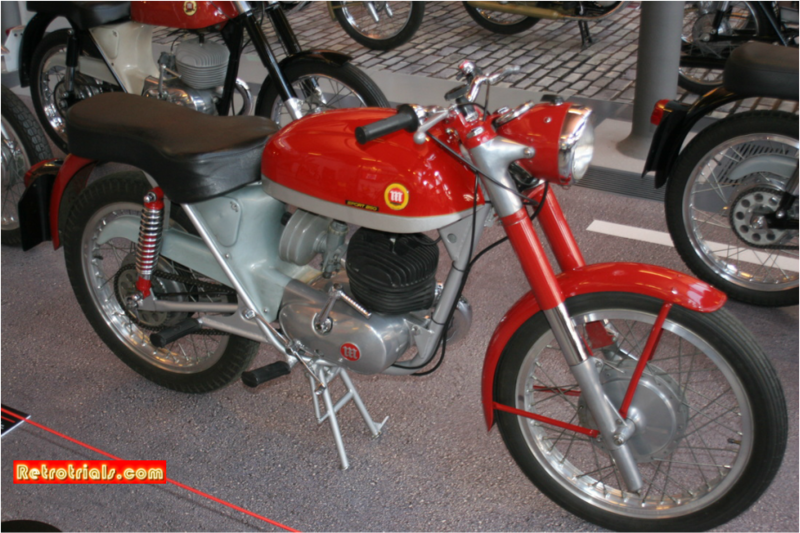 The cota 311 was the same engine from as the cota 75, the cota 125 and the cota 250. They all have the same engine but small changes , do you understand ?